This thread is for comments about our Garrison guide to unlock all buildings. What is the procedure and cost to deconstruct a building? There's no deconstruction. The only way is to build another building by dragging it on top of your existing one on the Architect Table. Is there a build order that is better? I am level 94 and cannot accept the herb garden quest. 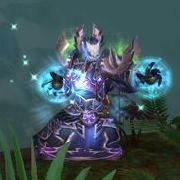 Wowhead says it unlocks at 96. Stables, Level 3 is given by the achievement Master of Mounts (which requires you to fully tame all Stables mounts), not The Stable Master. The Stable Master requires you to loot an item which is only available after upgrading to Level 3, so there's no way you can complete the achievement before that. All The Stable Master is needed for is to get the "Stable Master" title and Armored Frostwolf mount. Thanks, I fixed that yesterday, after someone made a similar remark on the Stables guide. I'm still trying to figure out what caused me to write Stable Master instead of Master of Mounts. There is a vendor right next to the Architect Table in your Garrison. Large buildings (apart from Barracks) look to be unlocked when you upgrade your Town Hall to level 2, not level 1 as the guide says. "Outpost Building Assembly Notes" are only used to purchase level 2 plans for Small and Medium buildings, not Large buildings. "Comprehensive Outpost Construction Guide" is the one for Large buildings. It's no longer missing Thanks for the suggestion!